We went pumpkin picking as a family with L’s class today. We had a ball (pics to come) and went out to lunch after. 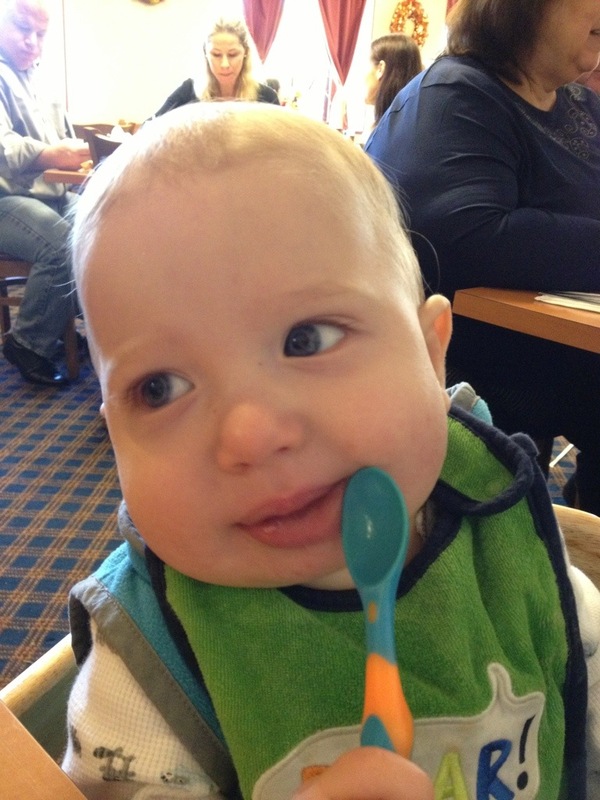 This is J sitting in a high chair trying to feed himself with an empty spoon after eating two baby meals and some french fry pieces.